We are proud of the giant stride made by software industry in India. This industry proved that Indian companies can compete with the best and win anywhere in the world. The innate talent of Indians in Mathematics and logical thinking played no less part. Successive governments also have supported the growth of this industry in a big way by taking appropriate policy measures. However, continued growth of this industry is under threat due to lower investment in software across the globe. Businesses are looking elsewhere for improving process efficiency and decision making. They are finding that the huge data they collect can be leveraged for these improvements. This effort is nothing but ‘Analytics’ and is being considered as the ‘new oil’. Given the technology revolution that is happening, it will continue to be the next source of growth for many businesses in the foreseeable future. Analytics involves application of Statistics, Operations Research and Data mining to business process data. An Analytics professional must be knowledgeable in these fields as well as industry and business functions. Hence, it is a knowledge based industry and Indians do have flair in these areas. As in the case of software industry, Indian companies can play a big role in this field globally. Growth of Analytics industry in India so far gives lot of hope in this direction. However, government have not yet woken up to provide active support so that India is in the forefront of this emerging technology. Even as we have not yet woken up, Singapore shows a contrasting picture. The resource starved nation has seriously adopted Analytics as the new natural resource. It has started to systematically implement an all-round strategy to ensure that they emerge as a powerhouse of Analytics. This strategy is named Intelligent Nation 2015 (iN2015) and expected to cover numerous areas of the society and government.Two arms of government, viz. Economic Development Board (EDB) and Infocomm Development Authority (IDA) are leading these efforts. EDB is the lead government agency for planning and executing strategies to enhance Singapore’s position as a global business centre and grow the Singapore economy. IDA is responsible for the development and growth of the informatics and communication (Infocomm) sector in Singapore. It functions as the country’s infocomm master-planner and developer. Most importantly, these organizations take financial partnerships wherever it is required. Broadly the focus of the policy is to grow these three areas which are considered as backbone viz. Building the necessary infrastructure, growing supply side by attracting leading vendors and investing in education. A key component of Singapore’s approach is to provide infrastructure so that companies can leverage it to leapfrog in Analytics adoption. In order to facilitate this, they have created two different consumer analytics platforms at Singapore Management University and StarHub (second largest mobile operator). Both these initiatives are partially funded by National Research Foundation of Singapore. This platform will provide insights into consumer behaviour so that companies can develop and tailor initiatives that will be more relevant to and better received by customers. It will enable organizations to utilize real-time insights by helping their campaigns go to market and assess the outcome faster. From consumer point of view, it enables them to receive incentives or offers that are useful. Additionally, SMU platform is being tested to explore data analytic projects in the areas of retail, hospitality and tourism sectors. StarHub’s Analytics platform too is targeting these sectors for a start. It has launched a Business Analytics Translational Center to help companies manage enormous amounts of data through advanced business analytics tools. This is a joint initiative of IDA and Agency for Science Technology and Research. The center will tap Research Institutions of Higher Learning to educate engineers, IT specialists, researchers, business analysts and relevant professionals with fundamental analytics knowledge through workshops, trainings, seminars and the like. Even more exciting is the initiatives taken by the government to attract leading vendors of Analytic service and software providers. It is notable that who’s who of Analytic world has responded to setup institutions for research and trainingcentres with active support of the government. So far, such centres of excellence were setup by Accenture, Deloitte, IBM, Revolution Analytics and SAS. These centres address various issues of business and society and help to position Singapore as a thought leader. Either EDB or IDA has active involvement in all these centres through financial participation. IBM focuses on process improvement of supply chain. While Accenture focus on more citizen-centric initiatives like public safety, government service delivery and government executive effectiveness. NEC Corporation has recently announced the establishment of a sophisticated research centre that will capitalize on safety and big data technologies to provide social infrastructure solutions to markets throughout the world. Singapore has been a center of finance in the region and finance has been the pioneer industry in utilization of Analytics. However, the overwhelming evaluation is that the professionals employed by industry are mostly foreigners. Nationals are not able take up this as the current education model is not able to provide the required knowledge and skills. Hence, the government is keen to fill this gap and a number of the partnerships described above got a component of education or training. SAS Institute and Singapore Management University (SMU) have jointly established the SMU-SAS Advanced Analytics Lab to increase the awareness of Business Intelligence and Analytics. Through this partnership, students and staff will have ample opportunity to create, apply and leverage advanced solutions for Business Intelligence and Analytics. The vision is to introduce the world’s first undergraduate program to get certified as a Business Intelligence and Analytics professional. 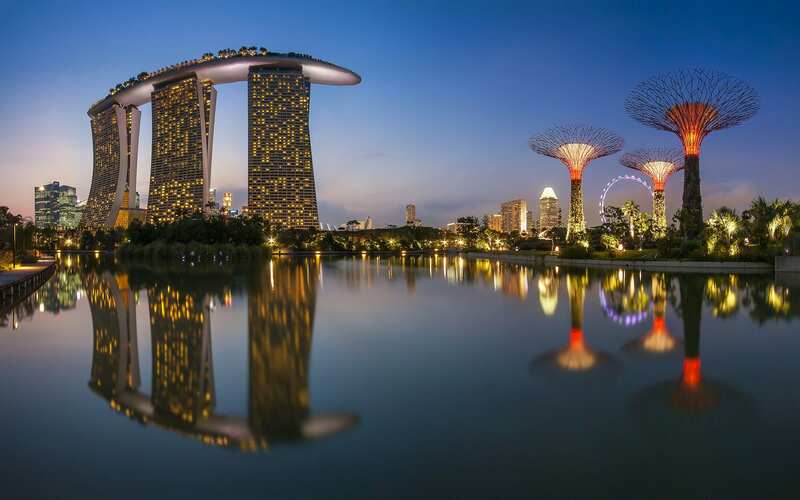 Similarly, Singapore’s Polytechnic Center has collaborated with Revolution Analytics to use R to train its students and lecturers in advanced analytics. Penetration of Analytics would involve collection and utilization of huge amount of personal data.This will lead to concerns about how personal data is being used. Hence, Singapore formulated a data protection regime to govern the collection, use and disclosure of personal data to address these concerns and to maintain individuals’ trust in organisations that manage data. The Personal Data Protection Act (PDPA) establishes a data protection law that comprises various rules governing personal data. It recognises both the rights of individuals to protect their personal data, including rights of access and correction, and the needs of organisations to collect, use or disclose personal data for legitimate and reasonable purposes.By regulating the flow of personal data among organisations, the PDPA also aims to strengthen Singapore’s position as a trusted, world-class hub for businesses. It is exciting to notice how a country was able to visualize the potential of Analytics and was able to take decisive steps towards building a future around it. The approach really stands out in many ways. It is multidimensional as it involves creation of infrastructure, stimulation of supply, investment in education and creating necessary legal framework. The initiatives are active as the government take a financial stake and invest wherever it is needed. Interestingly, business is not the only focus as some of the collaborations cover public issues too. It is not too late for our country to formulate a policy to actively support Analytics. The growth in the Analytics industry so far proves that the country got immense potential. However, in situations of such competition from other counties, it is not wise to be passive. Regi Mathew is a Fellow of IIM Ahmedabad. He has been in Academics and Analytics industry for over 18 years. His industry stints have been with Symphony Marketing Solutions, GENPACT and iGATE Global. His main contributions have been in the areas of Process Improvement, Team building and Business Development. Currently he is Professor (Business Analytics) at NMIMS University, Bangalore.